Work smarter with technology that works for you! Nothing is more valuable than your customers! 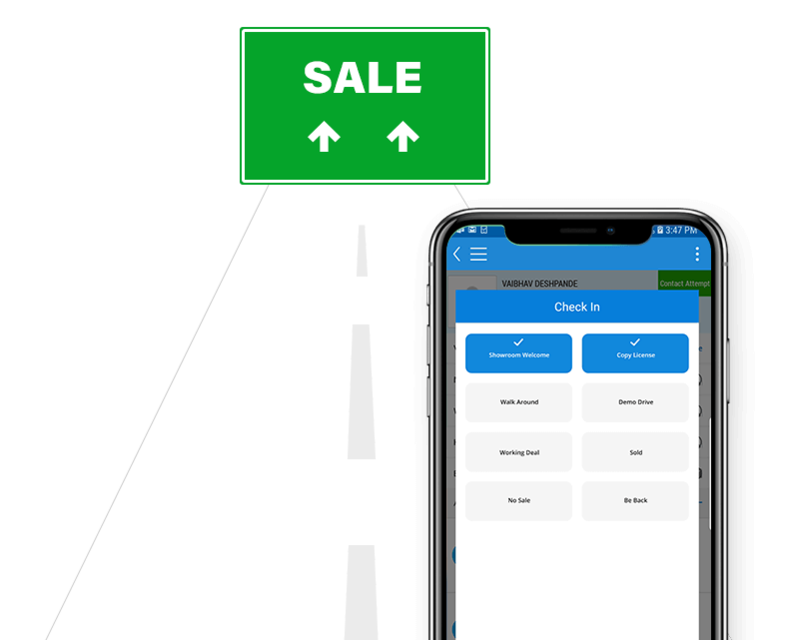 Our CRM module has everything you need to ensure every lead follows your defined sales process—from inception to conversion to ongoing customer engagement. 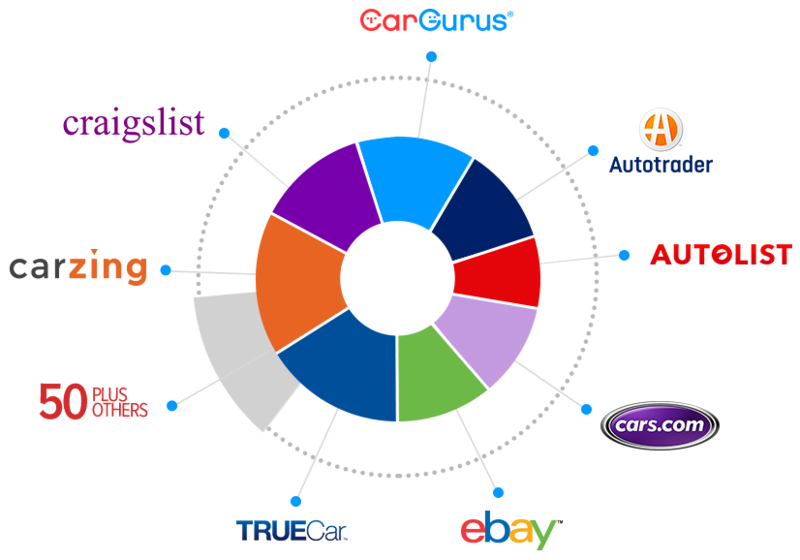 Receive leads from any source, including Cars.com, Autotrader, CarGurus, and 50+ others. Dedupe leads and maintain a clean customer list. Automatically assign leads to your sales reps.
Track all sales rep activity and ROI. 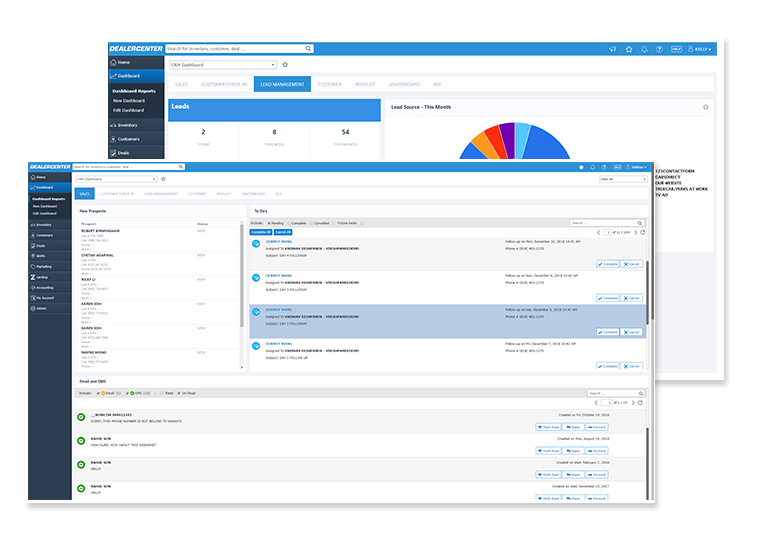 Real-time dashboards track key performance metrics. 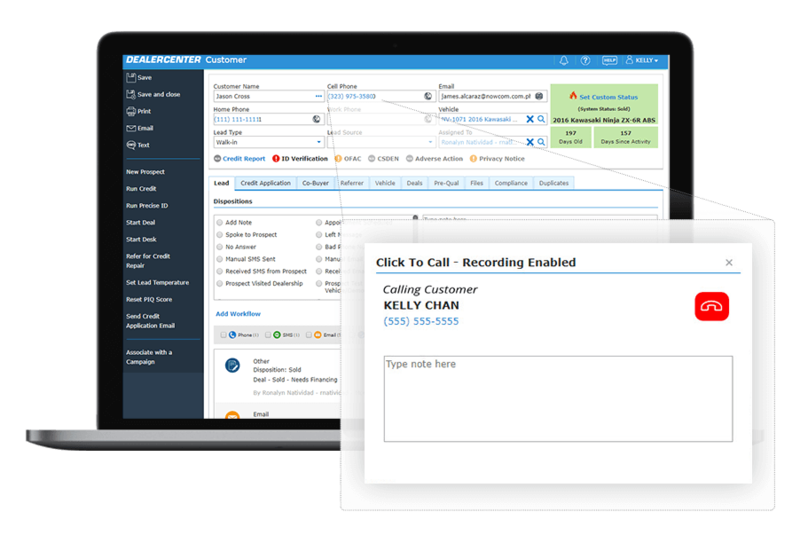 Create leads via Caller ID. Capture your customer’s interested vehicles/wishlist. Automate customer interaction with custom workflows. Manage compliance for your customer base. Receive notifications for appointments, pending tasks, untouched prospects, and more. Make instant calls with a single click. Works with any phone including cell phones/desk phones. Improve sales training by recording inbound & outbound phone calls. Check customers in to your dealership via mobile app. Create a consistent experience for your customers through a customized checklist of action items for your sales team. Allow managers to see real-time showroom floor/lot activity. Create campaigns to re-engage your customer base. Specify custom criteria to define your target audience. Use emails, SMS, and phone call marketing to reach your customers. indicators (KPIS) and custom dashboards. Measure the effectiveness of a campaign through key performance indicators (KPIS) and custom dashboards. Send bulk text messages (SMS) and emails. Send text messages with vehicle images (MMS) and related media. 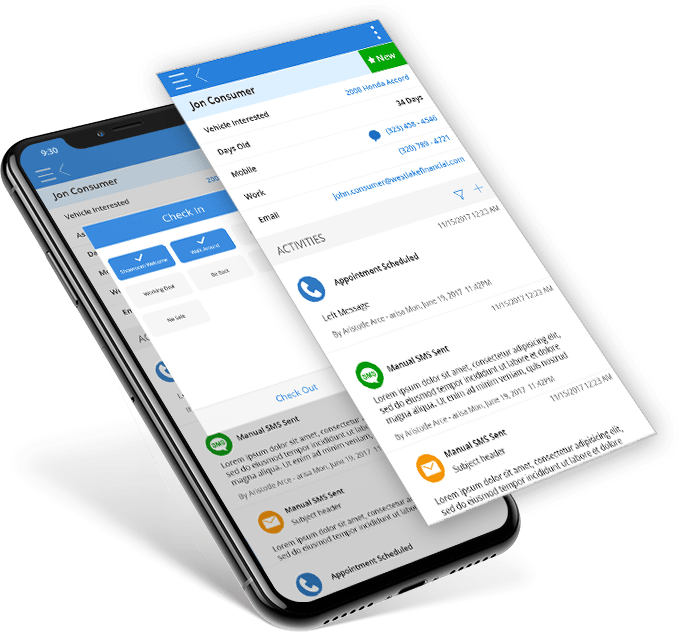 Create custom email and SMS templates. Access a library of seasonal and special occasion emails & SMS templates. Define custom workflows to maximize customer engagement. 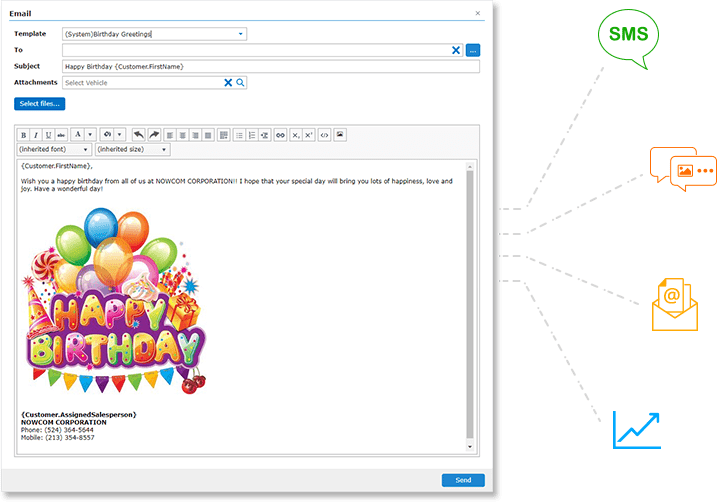 Automate outbound emails and text messages. 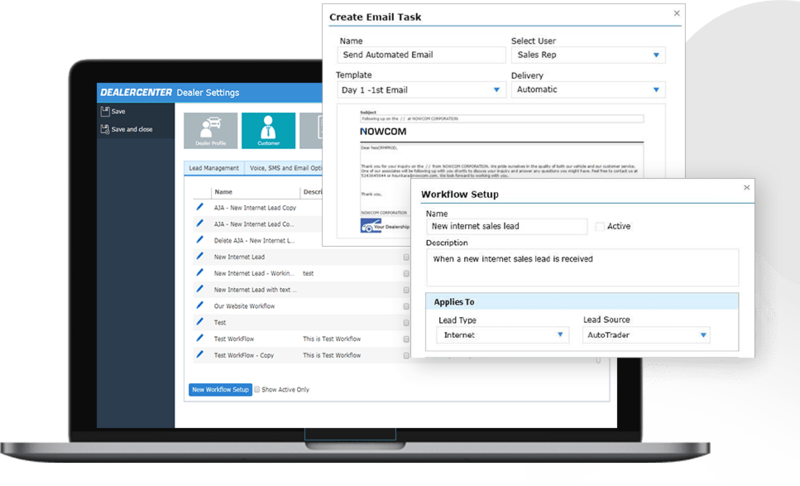 Utilize task automation to keep sales reps focused. 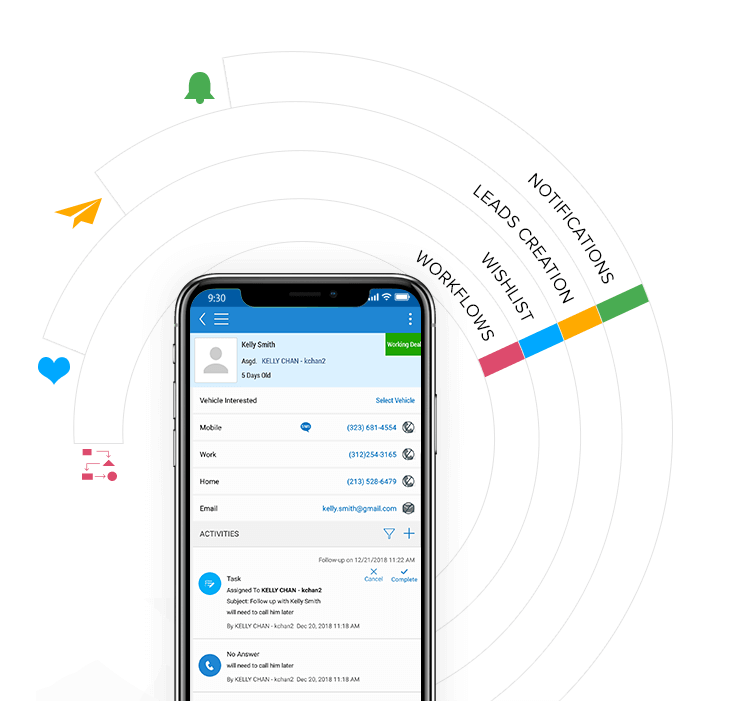 Never miss an opportunity with mobile notifications and reminders. 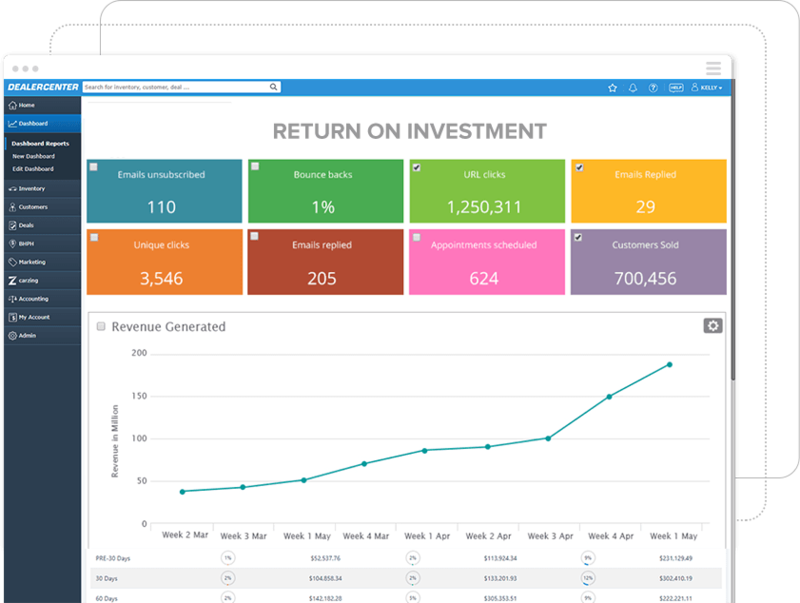 Customize your dashboards and analytics based on your business. Quickly see year-over-year and month-over-month trends. Gain insights on lead vendor performance.